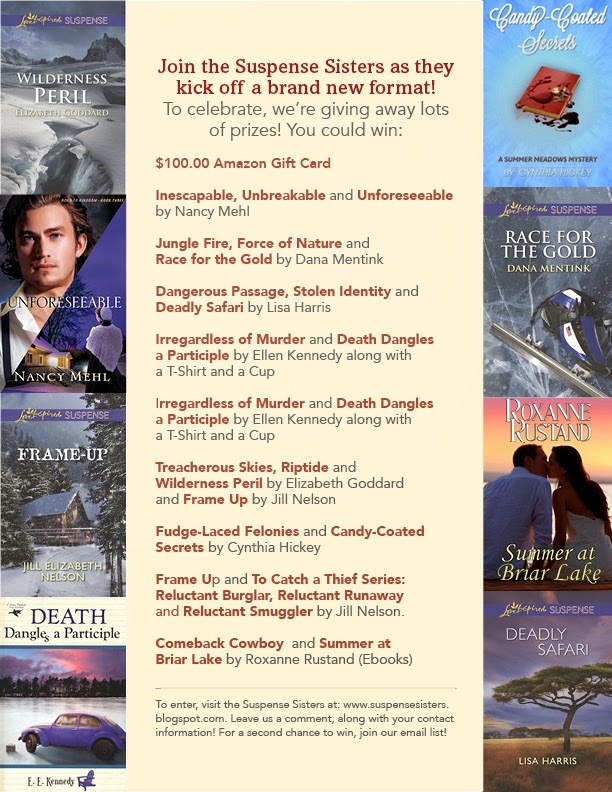 HERE ARE THE WINNERS OF THE SUSPENSE SISTERS GIVEAWAY! Congratulations to all the winners. Stayed tuned to the Suspense Sisters for more great interviews, articles, and contests. Thank you so much! I am so excited about winning!! Thanks Ellen Kennedy! yay, this is so great!! congrats to the winners and THANK YOU for this win (am excited about reading Roxanne's books) :) what a great contest, blessings! Kara, I have been trying to reach you by email and both attempts failed. I must have the email address wrong. I then tried clicking on your name above, and reaching you through the contact link there, but got a strange message about downloading protocols to be able to use that link, and something I didn't understand. :) I am so inept in the technology sense! :) Can you please contact me at roxannerustandbooks@yahoo.com? I'd love to send your books to you. Thanks!